Curated articles on hiring, culture and trends. Advice and answers from the Homerun team. Put Homerun's Talent Clipper for Google Chrome in the hands of your colleagues so everyone can effortlessly source talent, without interrupting their workflow. 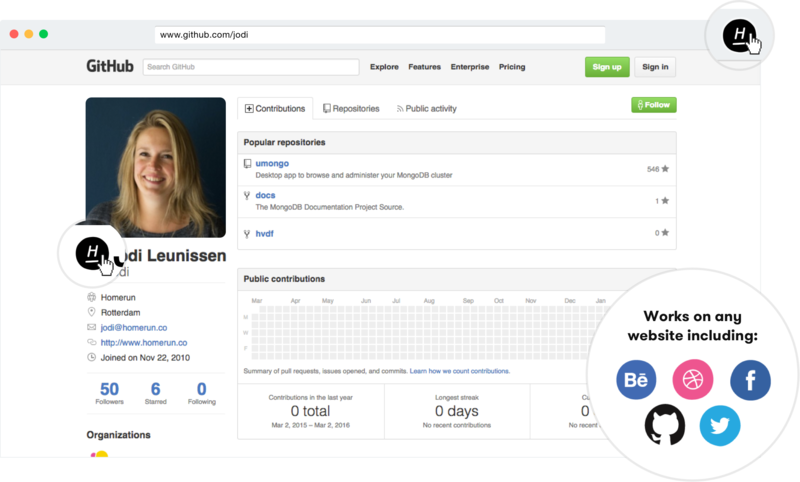 Give yourself and your colleagues the perfect tool to become an active scout. Add candidates directly from someone's social or professional profile to an active job opening or to your talent pool, in just two clicks and without leaving the page. Installing and using the Talent Clipper for Google Chrome is easy. Take these 3 simple steps and you're good to go. 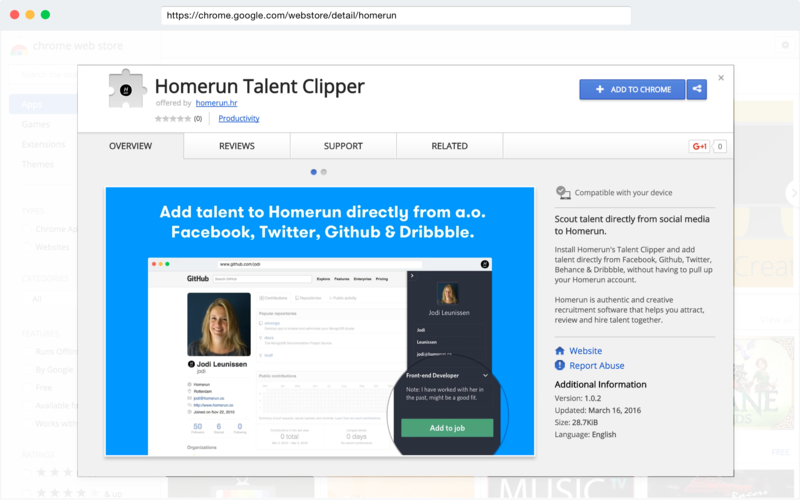 Visit the Chrome Web Store and add the Homerun Talent Clipper extension. Look up someone's profile on o.a. 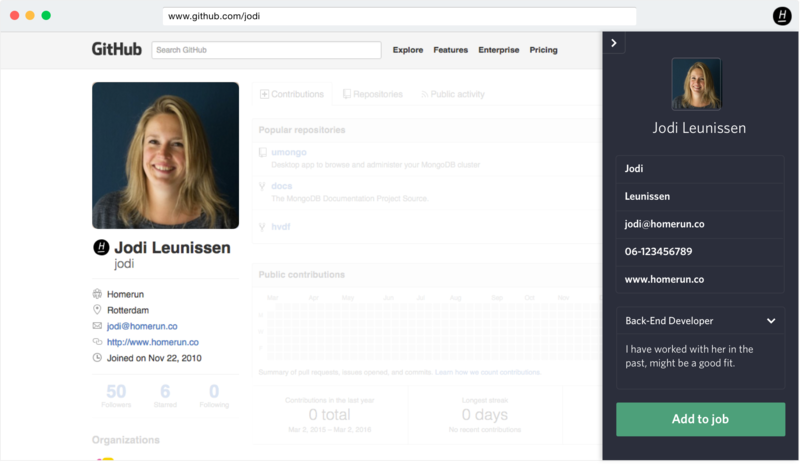 Facebook, Twitter, Github or LinkedIn and click the Homerun icon. Add or edit info and decide where you want to save the candidate to. 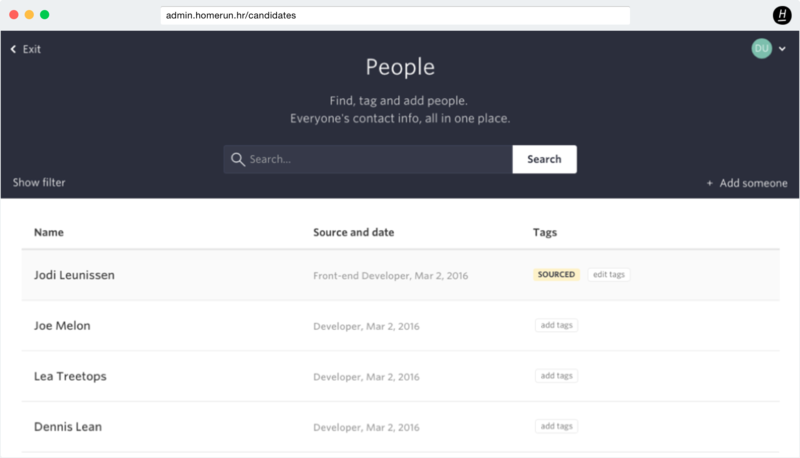 The candidate has now been added to Homerun with the tag 'sourced'. Everybody in your team becomes a recruiter with the Talent Clipper. Give it a try, installing the Chrome extension takes 1 minute. Free 15-day trial. No credit card required. Cancel any time. Receive must-read articles and trends on company culture, hiring and work/life balance.